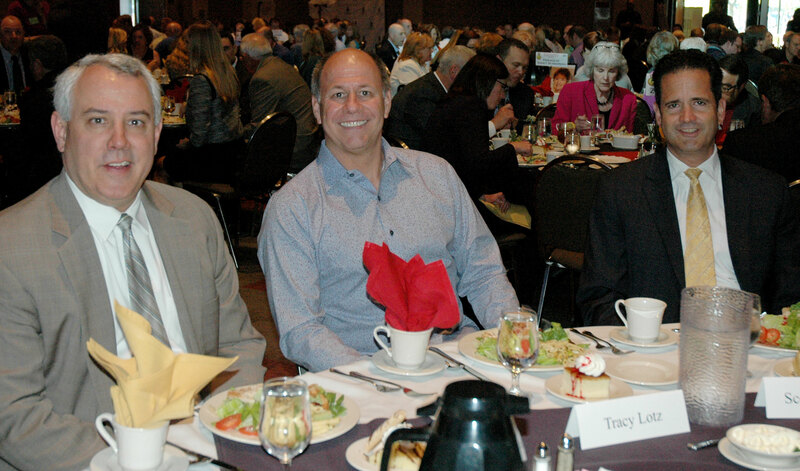 LiveRez Founder/CEO Tracy Lotz with Boise Mayor David Bieter (left) and Chair of the Boise Metro Chamber Scott Kreiling. LiveRez was recently honored as a finalist for a Chamber Excellence Award in the travel industry category from the Boise Metro Chamber of Commerce. LiveRez was selected as a finalist from a large pool of nominees for the award, which honors a “company who has made significant contributions in enhancing Idaho's travel industry through recreational opportunities, transportation, lodging options, tourism, or other means.” Joining LiveRez as finalists were Harmon Travel and the eventual winner Horizon Air / Alaska Airlines. In addition to being honored as one of the three finalists, LiveRez also helped sponsor the event, which was attended by many of the great companies who make the Boise business community so special. For pictures of the event, check out the slideshow below.